I am a child, couples, and family therapist. She has rested her head at a little nursing home in Tualatin, Oregon, for who knows how long. Her missionary plaque hangs on the wall, little known to the staff that that lady is this lady. The one lying coma-like in a bed-- she tramped across the Southern States for two years as a latter-day missionary in the 40's. We'd sing to her. The first time we came, staff told us she didn't talk, but she loved music. She had a picture of President Hinckley on her wall. We sang hymns and primary songs the first time. On our way out the door, Myrtle called out "No!" We brought her a picture of President Monson, telling her about his call to be the current prophet several years ago, probably while she had been listening to music. We told Myrtle about our callings, our lives, about the beauty of the world that we had been told she loved. She was a professor once. She worked with the boy scouts for many years. So we'd been told. When family came to visit us, we took them to visit Myrtle. Something about her spirit calms you. Everyone feels it--especially staff.Our visits were brief, but Myrtle's peace lingered in our lives for days after our visits. On Monday, I got a call from the nursing home staff. "Myrtle has stopped swallowing. If you'd like to say goodbye, you'd better come soon." The day had been busy. I felt that we must go--we had to say our goodbyes. The last several times we'd visited, Myrtle didn't even open her eyes. We pulled out of the busy Costco parking lot and drove to Myrtle's bedside. Walking through the doors of the center felt the same as always, the radio playing oldies and that nursing home smell ever present. Old age sat everywhere--it always had, but that day, death felt formidable. Was she still breathing? There, we saw her, last room to the back. Her pink sheets and bed. She was there. Eyes open. We walked across the thresh hold of the room, and instant Spirit greeted us. A hollowed, hallowed face shone from the bedside. That perfect, smooth skin. . .
"We've come to say goodbye, Myrtle. You must have loved ones here right now," I whispered to Myrtle, acknowledging the thickness of holiness in the room. We sang "Oh My Father," prayed, and left our friend to rise up to eternity. I ran across a friend's facebook page (let's call her Alta) where she commented on her frustration with mothers who don't encourage their daughters to be modest. Mind you, both of these women are mothers with daughters. Almost immediately, her friend (who I do not know--let's call her Bea) started commenting on Alta's facebook pictures that Bea considered immodest (short shorts) from back in the glory days of high school. Bea had a profile picture in a spaghetti-strapped tank (which I obviously consider immodest because I'm mentioning it) and commented that she believed her children should be modest, but she would not force them to dress differently than they chose to. . . So the woman go back and forth, back and forth, each one casting blame at the other person for her lack of compassion, lack of tack, judgment, etc. Soon the whole idea about modesty is out the window and now they are focused on each other's tactics in approaching "friendly conversation and facebook profiles." Far removed from this converstion (it was a back and forth dialogue between Alta and Bea, except for when Alta 's hubby chimed in to give back up to his darling) were 22 additional people who "Liked" the original comment. I'm sure there were/are an equal number of people who disliked the comment, but had no "dislike" button to push, so they moved on with their day. What was it between these two women, bantering back and forth for over a day about modesty? Some might say it was a power struggle. Obviously. But what prompted the comment to begin with. Why did my friend have so much disgust with the mothers and daughters she saw out in the heat of summer in low cut tops and tiny shorts? What prompted Bea to feel that her name was written all over the original comment (which it was not). I submit two likely culprits: guilt and blame (aka projection). "Psychological projection . . . is a psychological defense mechanism where a person subconsciously denies his or her own attributes, thoughts, and emotions, which are then ascribed to the outside world, usually to other people. 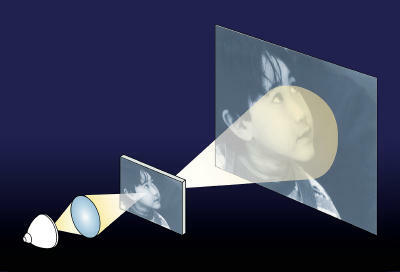 Thus, projection involves imagining or projecting the belief that others originate those feelings. "Projection reduces anxiety by allowing the expression of the unwanted unconscious impulses or desires without letting the conscious mind recognize them." The heat came not from the other party, but from the self. Blame is an outlet for pain and inner discomfort. It was easier for Alta to be disgusted by other mothers and daughters than to deal with the guilt that she may have about defying her own mother with immodest clothes, or perhaps her sadness that she will not be able to wear that certain style, or her daughter won't--I don' t know what feelings she was escaping. It was easier for Bea to blame my friend for being judgmental than to accept the feelings of guilt that she is wearing immodest clothes, or whatever. My point. I am no Freud, but I can smell projection from a mile away. Why? Because I do it all the time. -Today is the 6th day of a terrible, gushing cold. My tp roll is getting great usage, better than a tree-top job back in the glory days when staying up late and running around outside was fun. -I put my two weeks in after only a month and a half of a new job. Got a better job. -My parents are moving to Virginia for 8 months. Jealous, is all I have to say. -While the Cuisinart indoor ice cream maker is NOT helping me win the weight-loss competition, it has definitely been the favorite kitchen-gear purchase of my life. -The non-frugal purchase of an Android phone has actually helped me cut down on my internet addiction. I spend way less time online now that I now I can be online 24/7. Always want what you can't have, I suspect. -Grilled mangoes--best summer time treat. Cut up a mango and leave in its skins. Put some foil on the grill-- brush some lime juice and olive oil on the flesh of the fruit. Grill 3-4 minutes on each side. It kind of tastes like a peach cobbler. Mmmmm. -My deep cleaning once a week goal has dwindled in unbelief. -One of my best friends and her cutest children and reliable husband moved 4 hours away. Sad day. -I still believe that the joy is in the journey. I've been a journeyin'. . .